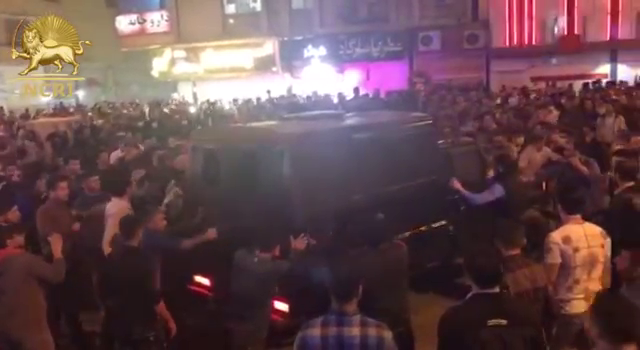 Protests have flared up across southwestern province of Khuzestan in past few days. What is taking shape today in Iran is but a reminder that protests that started in the final days of last year have not stopped. But it has gained momentum and has spread across the country. Ahwaz, provincial capital of Khuzestan, was the scene of recent protests of Arab citizens outraged by the state TV’s insulting program with clear racial and discriminatory connotation. 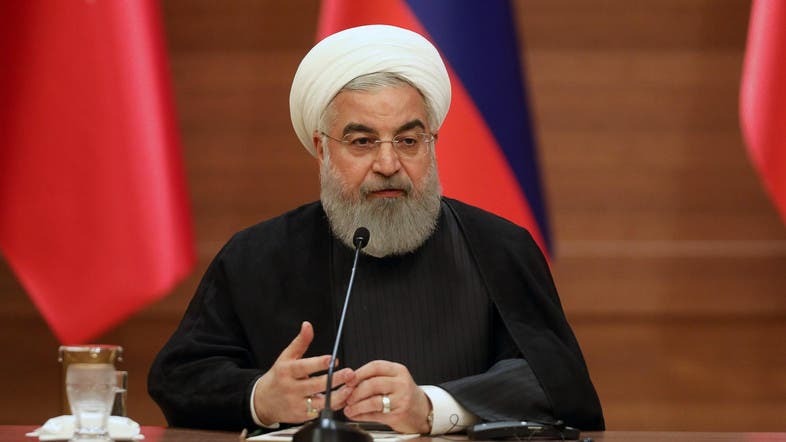 Soon other cities throughout the region including Abadan, Mahshahr, Hamidiyeh and Sheyban joined and the theocratic regime in Tehran respond was harsh and violent. According to a statement from the National Council of Resistance of Iran (NCRI) People in Ahwaz were brutally attacked by the Islamic Revolutionary Guard Corps (IRGC) on March 30. “Police mercenaries and anti-riot guards threw tear gas and attacked demonstrators in the city of Kut Abdullah [southern suburbs of Ahwaz] with batons and opened fire at the crowd. Clashes between people and repressive forces continued for hours,” said the statement. Scratching the surface, despite living on a pile of gold, citizens in the oil rich region are suffering from high unemployment, lack of clean water, daily sand storms among other problems. Making even more difficult for the regime, the workers in Khuzestan that are the largest working class community in Iran are fighting for their unpaid salaries and benefits owned to them by their employers. Some of the workers have not been paid for over a year. Irony is that many of the new employers of the factories are IRGC’s former commanders turned businessmen. This was another trick up IRGC and the Supreme Leader’s Ali Khamenei’s sleeves to escape international sanctions. The majority of these supposed financial entities owned by so-called Iran’s private sector have gone bankrupt leaving their workers with nothing. Since the owners have powerful backers such as the military arm of the IRGC, the protesting workers are often arrested and jailed and their families go hungry. In one such company, which used to be one of the largest sugar cane factories in the Middle East, thousands of workers are on strike for months now. A statement from NCRI which closely monitors protests in Iran said: “Workers from various sectors of the Haft-Tapeh sugarcane Company located in a region of the same name in the Southwestern city of Shush, including farmers in the agricultural sector, went on strike since the morning of Tuesday, March 28, and stopped working on sugarcane production”. Last month another very serious protest rocked the Iranian regime in Isfahan central Iran. This time, farmers fed up with water shortage for their livelihood, blocked roads using their tractors and clashed with the IRGC and other security forces near their fields. This is ironical considering, since the early days of the 1979 revolution, Iranian regime officials have counted on farmers as their strong supporters and garnered their votes. According to the statement, a massive crowd gathered along the Khaju Bridge to protest against the regime’s refusal to grant farmers the right to water and catastrophic livelihoods of farmers and ranchers. The regime also needs to take responsibility for Iran’s environmental disasters. Analysts believe that water shortage in the country has created the biggest challenge for officials in Tehran. It is not nature’s wrath as the Iranian regime is trying to imply and look innocent. But it is the direct result of decades of mismanagement of Iran’s water supplies. This country for centuries had survived on its water resources despite being located on a dry plateau. Dust storms is not a phenomena limited to southwestern Iran anymore. Iranian regime dried natural swamps and lagoons during the eight-year war with Iraq to have dry land for armored vehicles marching toward the border with Iraq. Swamps served as barriers to sand and dust storms from directly blowing into Iran’s southern and southwestern regions. Something which once was just a problem in Khuzestan and regime tried to hide it, now is on their own door steps in their lavish villas in northern Tehran. A shocking report from government affiliated media reveals that Iran’s weather in past few days is alarming. Weather in most of cities in Iran’s Khuzestan province deemed unsafe. Cities of Ahwaz, Abadan, Ramhormoz and Shushtar are just a few examples. In his New Year message, Khamenei tried to reduce the country’s problems to some minor difficulties in economy. But he intentionally overlooked other problems. Khamenei has problems with his neighbors, has proliferated ballistic missiles, and has unleashed IRGC and Quds Force in countries such as Syria, Iraq and Yemen. In the process he has destroyed his own country. The world should have realized by now that the Iranian regime has neither any intentions nor the ability to coexist with others. The EU bloc countries will be much better off not flocking Tehran’s dead horse. Reza Shafiee is a member of the Foreign Affairs Committee of the National Council of Resistance of Iran (NCRI). He tweets @shafiee_shafiee.